Zombie apocalypse talks span a lot of different areas, but one of the primary ones is where you would hold up in the apocalypse. Many choose places such as Wal-Mart or Costco, but I’ve definitely heard “I’d just go to an island!”. Well, Deep Silver Games and developer Fatshark would make you rethink that with Escape Dead Island, which I got some hands-on time with at this year’s Comic Con. 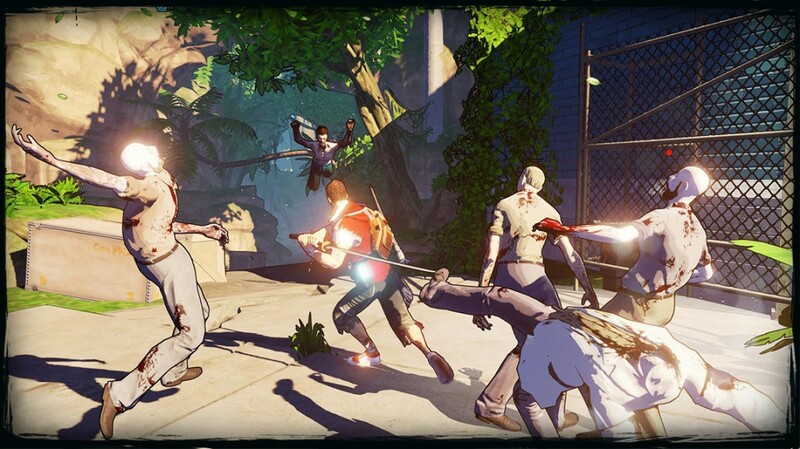 Escape Dead Island goes down a different path than the other games in the franchise and the art style is an immediate indication of that. Whereas you’ll always have solid violence in any good zombie game, Escape produces more over-the-top gore that warrants the more comic book vibe in its look. It’s stylized in a great way- it’s a nice mix between a realized 3D world with just enough flatness of a 2D game. That makes the environments and characters pop that much more. 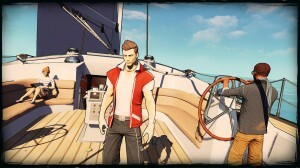 Yet while the game takes a more simplistic approach to its graphics (the other Dead Island games go for a more realistic look), the rest of Escape will look to boost story elements. Rather than a hack-n-slash environment, the game is more about survival through stealth. Our protagonist is Cliff Carlo, whose ship washes up on a mysterious island overrun with zombies a few weeks after the initial outbreak seen in the first Dead Island. Starting off, there wasn’t really a way to defend myself. Taking on any zombies head-on would have (and did) result in certain death, so the opening immediately shows off the stealth focus. The map was fairly linear, but offered different options for approaching situations. Single zombies were easy enough to take down from behind once I came upon a screwdriver, but among bigger groups, there were paths to allow for attacks and to allow for non-combative passage. Once I got closer to meeting up with some friends I crashed with, the game teased some of the stranger elements. Escape will be featuring more supernatural elements. The gamer, like Cliff, won’t necessarily know what’s going on. I’d liken it to a Groundhog Day type approach- you’ll seem to maintain your memories and experiences, but the situations around you could change here and there without explanation. That said, it’s not 100% like a Groundhog Day approach where you’re experiencing the same day over and over, but I did get a glimpse into the world’s mysteries and it was certainly intriguing. 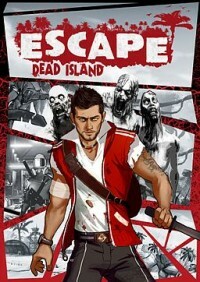 Escape Dead Island will be releasing this fall for PC, PlayStation 3 and Xbox 360. Zombie apocalypse talks span a lot of different areas, but one of the primary ones is where you would hold up in the apocalypse. Many choose places such as Wal-Mart or Costco, but I’ve definitely heard “I’d just go to an island!”….